Chances are that every day someone somewhere is misplacing their keys. In fact, keys are one of the most likely items we will lose at some point in our lives. 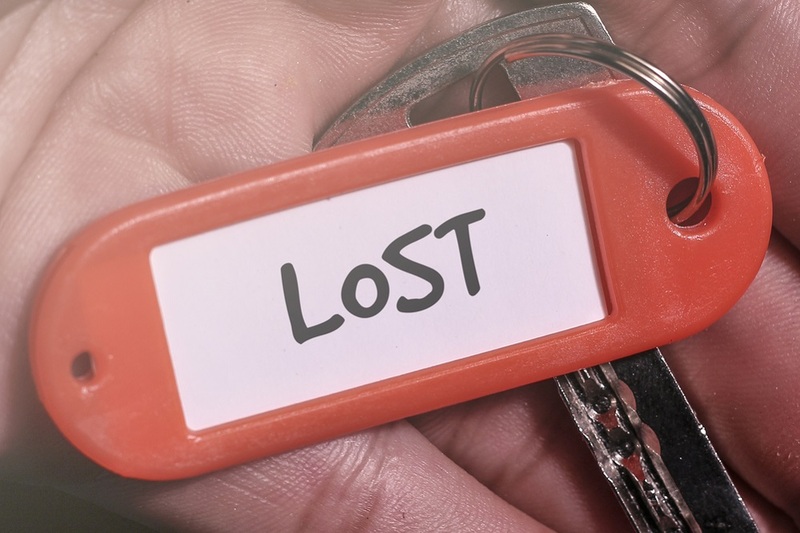 So, what are some precautions to take to ensure you don’t lose them, and what should you do when you discover you have lost your car, home, or office keys? Since your key to the lock on your front door is the only thing standing between an intruder and privacy in safety, losing it is more than a mere inconvenience. Calling for help, getting back inside and having a new key made is not a complicated process. The problem, however, may arise later when you don’t know for sure who has access to your home. Some homeowner insurance policies cover lock or key replacements. If yours does, good news! If not, think about having this coverage added to your policy. Losing keys to a vehicle is a frequent occurrence, and it was as easy as cutting a new one prior to the popularity of electronic key fobs and transponder keys. 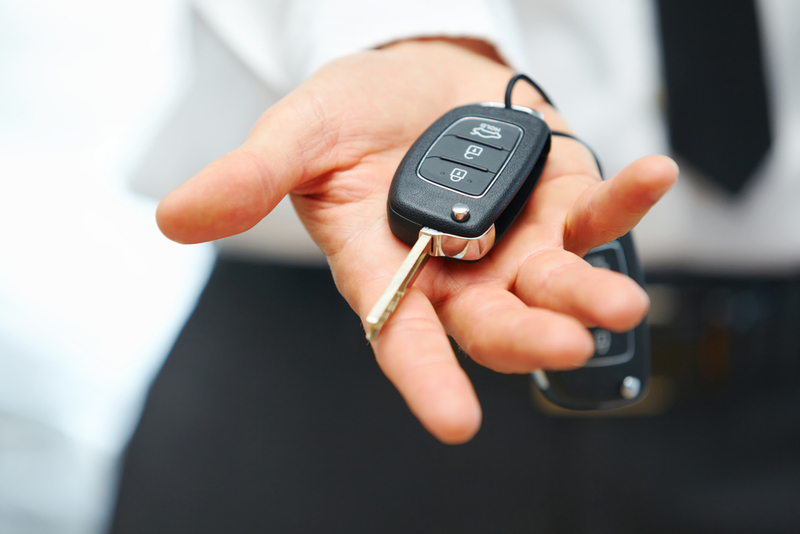 With the newer electronic versions, replacing a key can be quite costly when you turn to your dealership for help. You can save quite a bit by calling one of our qualified technicians instead who will be able to re-program on the spot. Just make sure you know the make, model, and year of your car as well as the VIN and have proper identification. It may be rare, but some car insurance policies cover the cost of key replacement. If not, you may have an extended warranty plan that does. Realizing you’ve lost the keys to your office has added embarrassment factor tied to it, especially if you are not the owner but have been entrusted with a master key. Once the initial shock and upset subside, it’s time to take action. The main thing with a lost office key will be to prove you have a right to access the space. Other considerations include needing to then re-key a master system or take added precautions to make sure your office is secured. After you call for help, make your next call to someone you know and trust who can come and wait with you. When the technician arrives to get you back inside and provide you with a replacement key, you will need to provide proof of identification proving that you own the vehicle, have the authority at an office building, or live at the residence you are attempting to get inside. Since you don’t know for sure who has a copy of your lost key, the next best step for security is to have the locks changed or rekeyed. It’s helpful to always have a spare key at a location or with a family member or friend you trust that you can quickly contact to retrieve the key when needed. If you frequently lose your keys, it may be time to check into an app or other forms of a smart tracker. Some key chains have a tracking device that connects to a smartphone to locate your keys like a GPS. No one thinks about a lockout situation until they find themselves in the middle of one. Swiftly, you stare at your car keys through your window wondering how you left your house keys in your room after you walked out of the door. This is the best time to know a Mobile Locksmith and the service it provides. Mobile locksmith services work as workshops (mobile) that take emergency roadside calls, driving to offices and homes to tend to their emergency lockout needs. They’re usually trained and licensed to fix any lockout situation and carry around all necessary equipment to provide various solutions. The benefits of a mobile locksmith service are numerous compared to a regular locksmith. Have you been locked out of your house without a spare key? Or locked out of your car in the most inconvenient place? A mobile locksmith will put you back on the road at lightning speed so your routine can continue without further delay. Professionally mobile locksmiths swiftly respond to all types of lockout emergencies in accordance with their training. They provide various solutions such as making a new set of home keys, car keys or office keys or changing a lock on the spot. A lockout can happen at any time of the day or night. A lot of mobile Locksmith companies are open 24/7, so you don’t have to fret in case you’re caught up in an emergency lockout situation in an odd time of the day or night. With a conventional locksmith, you’ll be required to make an appointment for the following day and wait for a response. Mobile locksmiths are often trained to specialize in particular fields like forensic locksmithing. Such training teaches how to find out if a lock had been tampered with or not. Mobile locksmiths usually work with security agencies or law enforcement. In most cases, private firms hire mobile locksmiths with such specialty. 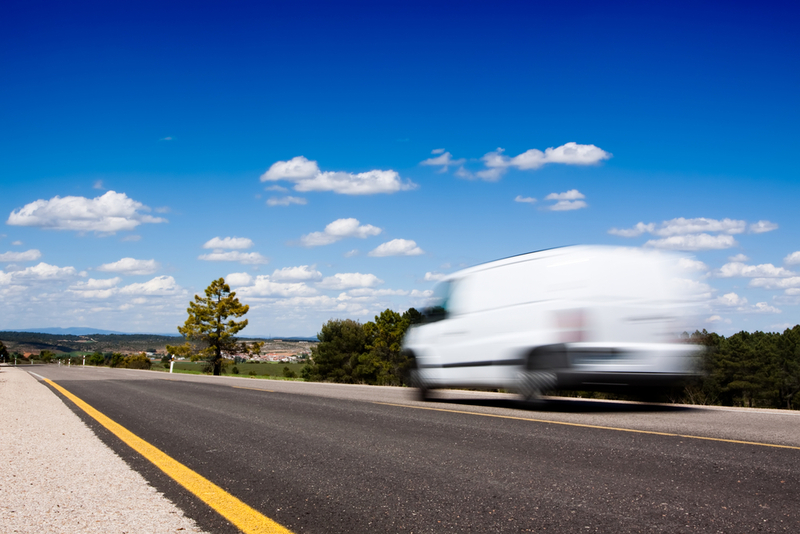 Vehicles sometimes break down in distant and remote places, on roads or freeways far from physical locksmith locations. Mobile locksmiths are furnished to reach you at any location with all required tools on the spot. A professional mobile locksmith has undergone extensive and comprehensive training. 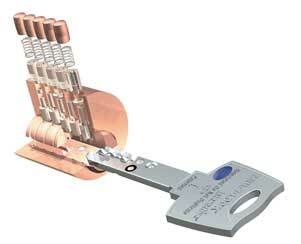 They are tested on a variety of locks and know how each of them works in detail. Such training prepares mobile locksmiths with the ability to fix most kind of locks. Organizations such as Associated Locksmiths of America (ALOA) offer certifications and on-job training for mobile locksmiths. ALOA does a criminal background check on mobile locksmiths before certifying them. Mobile locksmiths offer services such as emergency rekeying, lock replacement, lock installation, office lockout, master key systems, keys by code, file cabinet locks, door closers, safe combination changes, electronic locks, latch guards, key control, detex alarms, and lock boxes independently or with a larger entity. Some can perform various lockout solutions for both commercial and residential clients, while others only specialize in one. Consider sourcing professional and registered locksmiths from reputable lists of organizations such as ALOA. This way you can be better prepared next time you’re in a tough lockout situation. There are many conditions under which replacing the entire lock is a necessary step, but often all that is needed is for the locks to be rekeyed. What is the difference between locks change vs locks rekeying, and how do you know which service to choose? Rekeying is a less expensive option that involves replacing only the part of the lock that works with the key – the inner cylinder. Locks that are candidates for rekeying are those that are in good working order. Once, it has been rekeyed, you will have a brand new key to open a brand new locking mechanism that has been installed inside your existing locks hardware. It is possible to re-key a lock yourself, and many lock manufacturers sell rekeying kits at local home improvement stores. However, not everyone is handy with tools, and others want to ensure the job is done well to make sure their home is secured. If you have locks that are not working properly or have antique locksets, the do-it-yourself method will become much more complicated and intense. Leave the job to a professional locksmith to get it done quickly and right without spending your weekend on a project that may lead to frustration or doors without a functioning lock. Sometimes a locks rekeying is not an option. If you have a lock on your door that does not work properly, is worn out or damaged, rekeying may not be your best option. Instead, a locks change will be needed to properly secure your home. Antique locking hardware also often pose a problem of their own. The parts needed to re-key may be difficult or impossible to find, leaving you only with the option of complete locks change. Since home security is a top priority, so if you have poor quality locksets already in place on your doors, it would be a waste of money and time to have them rekeyed. 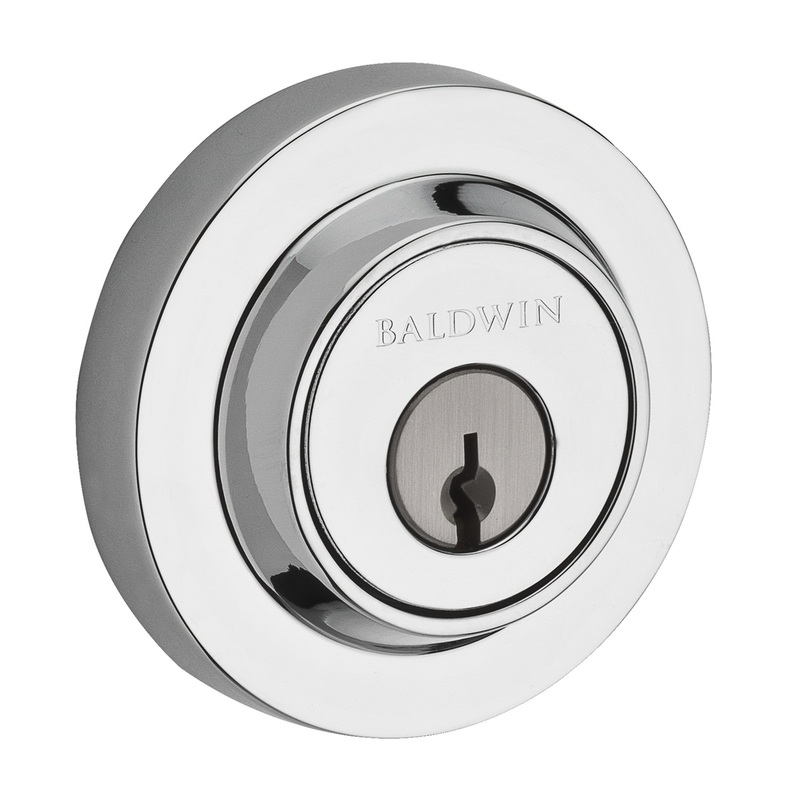 A better alternative would be to invest in quality locks and whole new locks change service. Call your local locksmith to assess your locks and discuss your needs. A locksmith will be able to examine your lock and recommend whether locks change vs locks rekeying is best for your individual needs. The locksmith will be able to tell you if rekeying will work for your specific lock or if it needs to be repaired or completely changed out with a new lock set. The qualified professional locksmith ultimately will take into consideration your safety. Locked Keys In The Car? Oh, that all too familiar and dreaded click sound that immediately signals to you that you just shut your car door, and your keys are now locked inside. While your day has seemingly just become drained of convenience and an otherwise pleasant moment, all is not lost. There is a way to get back inside your locked vehicle and retrieve your keys. While it seems like you are the only one who could have such bad luck, this scenario happens every day and is all too familiar to professional mobile locksmiths who have the skill and tools needed to help get your car unlocked and car keys back in your hand where they belong. Walk around the car and check the other doors. Not every vehicle locks all of the doors at once. If you have a hatchback, it may even be possible to enter through the back hatch and make your way to the front to retrieve the keys without creating any damage to your vehicle. If step one failed, the next option is to attempt to open the door yourself. While you may be able to successfully finagle the window or door loose enough to pop the lock, these efforts are going to take time and risk damaging your car in a way that insurance will not cover. who will show up with the proper tools needed to open your vehicle and retrieve the key that is locked inside without damaging your car? A locksmith will come to you in a hurry. Many even provide services anytime, 24/7 and on holidays. They receive your call and don’t even bat an eye at immediately dispatching a qualified technician who will be there in less than a half an hour to help. Your keys may be locked inside with the engine still running. You may have just shut and locked the door while your child or pet is still trapped inside. If your keys are locked inside the trunk, a locksmith will be able to pick the trunk’s lock to open the trunk, leaving no damage to the lock. A locksmith will show up prepared to use the safest and most responsible methods to gain entry to your vehicle and retrieve your car keys. The method and tools they choose will depend on the specific situation as well as the vehicle make and model. When you find you have locked keys in the car, your safety and time are of the utmost importance. The time to find a locksmith you can depend on is before you are in an emergency, and then you will know who to call when you need help – A professional locksmith who will arrive quickly and get you safely back on the road. In the long run, it is often the most efficient method of getting back inside your vehicle with keys in hand and in the driver’s seat is to first call a trusted locksmith who will come to you to help retrieve locked keys in the car. Buying a new house is an exciting time! There are so many things on your mind, such as figuring out how to make the mortgage payments, wondering who the new neighbors will be and whether or not they will be pleasant to live next to, packing, unpacking, loading a moving truck, gathering friends and family to help move your items, possibly renovating, decorating, and setting up the new house to fit your personal style. The home’s new security is often not foremost on your mind, but it should be. You’ve signed the mortgage papers and were just handed the set of keys to your new home. There is not much in life that holds more excitement. Before you move in and your head hits that pillow to spend the first night of many under your new roof, one of the most securely safe decisions to make is to have a locks change after moving to a new house to take a necessary extra step toward avoiding a potential break-in. Sleep easy, and start fresh with a new set of locks, because you just don’t know the entire history regarding the locks at your new home. For starters, the former owners very well may have an extra set of keys in whereabouts unknown to you. Or, maybe they handed duplicate keys to friends or servicemen that they trusted but you do not know. 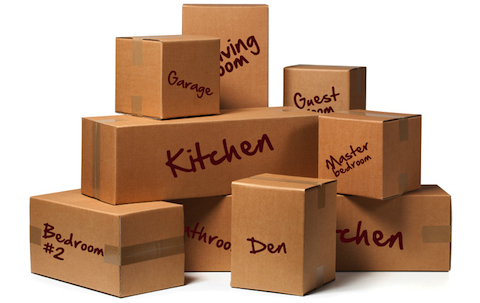 Perhaps there was an attempted break-in to your new house at some time before you moved in or to a house in the neighborhood. Possibly, the locks have even been damaged or are worn out. As you’re choosing new furniture, wallpaper, and home accessories to fill the rooms of your new home, first select a new lock that matches your style and fits into the architectural design of your house. 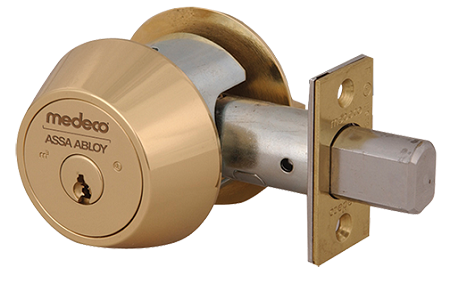 Consider a key-less digital locking system, or go with a traditional cut-key lock. Talk with an expert locksmith who can direct you toward the most secure, trusted name-brand lock, such as Mutilock, Schlage, Kwiksete, Weiser, Master, or Medeco, to name a few of the top-notch options. Replacing locks is an easy, fast, and affordable process that entails removing the entire lock on every door and replacing them with new locks. Schedule this ahead of signing the house papers so a locksmith is ready and waiting for you as soon as you arrive at your new home. As an extra measure of protection, also change the garage door opening codes. Call a professional locksmith today to help with your locks change after moving into a new house. Find one in your area who is ready to serve 24/7 and is knowledgeable to recommend the best type of lock for your new home. When it comes to your security you need to choose the best reliable and local locksmith. Lakewood Locksmith is one of the most reliable and professional locksmith service providers in Lakewood, Colorado. We are fast and affordable and believe in 100% customer satisfaction. © 2009-2015 Lakewood Locksmith. All rights reserved.